Days after making positive noises about bilateral ties, India and Pakistan clashed at the United Nations, with New Delhi taking exception to Islamabad raising the Kashmir issue and asking the new government in Pakistan to work constructively to build a safe and terror-free South Asia rather than indulging in polemics. 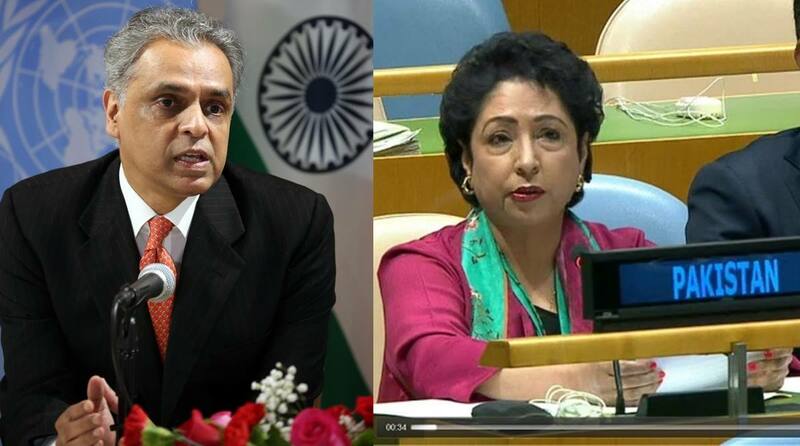 Akbaruddin’s hard-hitting remarks came shortly after Pakistan’s Ambassador to the UN Maleeha Lodhi called for implementation of the UNSC resolution on Kashmir. Rejecting the idea of mediation between India and Pakistan for resolving the Kashmir issue, the Indian representative said it was important not to charge the UN with responsibilities that it might be ill-suited to perform. ‘’Mediation, in every circumstance, is one such task, it (UN) is not geared to fulfil,’’ he added. Akbaruddin wondered whether the apparatus of the United Nations, as currently constituted, could perform many of the basic functions required for effective mediation. ‘’Are the mechanisms at the disposal of the UN coherent and flexible to guide dynamic negotiations with an effective strategy?’’ he asked. In the practice of day-to-day diplomacy, Akbaruddin said, mediators needed to be backed fully by the member states while regretting that inevitably member states of inter-governmental bodies tend to speak with different voices. Rather than trying and saddling the UN with responsibilities that it was ill-suited to perform, it might be better to look at alternate solutions which use the competencies of the world body more judiciously. The Jammu and Kashmir issue remained on the Security Council’s agenda but resolutions on the issue remained unimplemented till date, Lodhi said.